(PRLEAP.COM) November 20, 2015 - Nearly half of American adults have periodontitis. Half. "How can we accept this?" 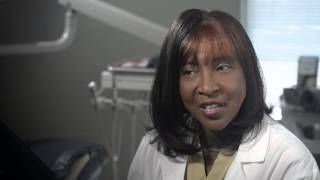 asks Dr. Duane Keller, Chief Scientific Officer for Perio Protect. "We need to do better for our patients, we need to get to the bottom of the problem, deep in the periodontal pockets." His course at the upcoming 2016 Yankee Dental Congress will explain how. Duane Keller began a journey to "find a better way" when his mother refused additional periodontal surgery. "We tried syringe delivery, tufted floss soaked in medication, interproximal brushes, irrigation, and systemic antibiotics. Nothing worked. We either couldn't get the medication deep enough or hold it there long enough to be effective. I needed something that was simple to do, easy to use, and comfortable." Eventually Keller designed a tray with an internal peripheral seal and extension system that placed solutions deep in the pocket. It worked so well for his mother and other patients that he took the tray to the FDA and eventually received clearance to market it as a prescription medical device. Fast forward several years and Perio Trays have been prescribed for tens of thousands of patients. "The reason they work so well," explains Keller, "is that we are able to use the Perio Tray delivery to place peroxide deep into the pockets. We can get this oxidizing and oxygenating agent to the bottom of the pocket, change the microenvironment of the pocket with oxygen, and help the body heal." 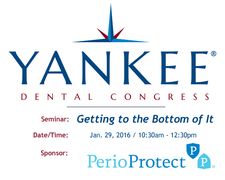 At the Yankee Dental Congress on January 29, 2016 from 10:30am – 12:30pm Keller will present Getting to the Bottom of It with Prescription Tray Delivery. The lecture highlights the biofilm challenge, the importance of peroxide, the benefits and limitations of prescription tray therapy, including when surgery is needed, and step-by-step practical case studies to illustrate clinical solutions to the problems dental professionals face every day. Doctors attending the course will have the option to become Perio Tray prescribers immediately following the seminar. "We're waiving tuition for Yankee attendees," explains Perio Protect representative Candias Rauls. "There are no extra fees or hidden expenses with this course. When you complete the course, you are ready to go the next day." Although doctors and teams are encouraged to attend together for seamless implementation, "we'll work with you if you can't all attend," adds Rauls. "Ultimately, we just want you to be successful." 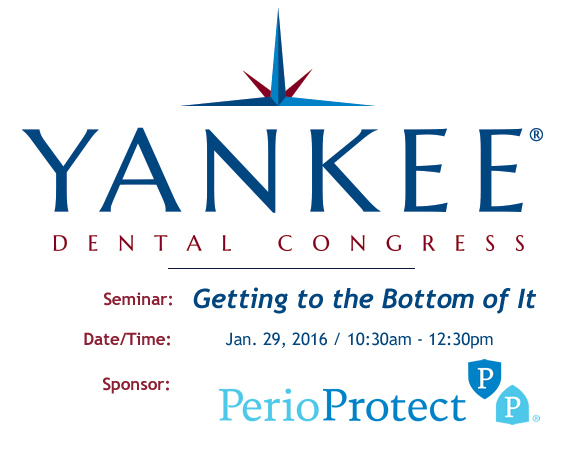 For more information and registration for the Yankee Dental Congress, visit www.YankeeDental.com. More information about prescription tray delivery, is available at www.PerioProtect.com.